Why make choosing the correct type of commercial or industrial flooring difficult? It doesn’t need to be a complicated or confusing decision. Make it easy by choosing a seamless epoxy flooring system. Epoxy floor coatings are universally recognized for having far superior durability and longer life expectancies than other flooring systems. Epoxy floors are an ideal choice for almost any industrial workplace environment due to the inherent qualities of epoxy in addition to its affordability. Epoxy flooring systems can transform an aging concrete floor into a highly attractive floor with an amazing looking finish. 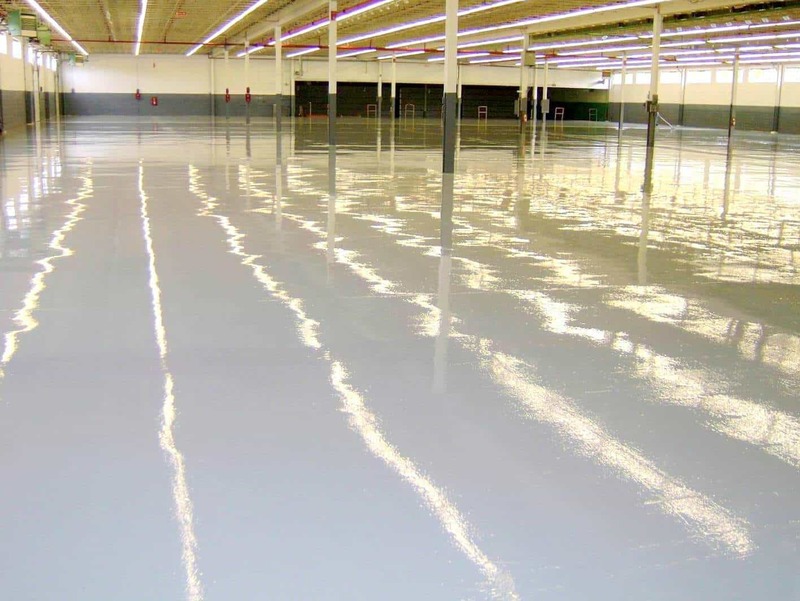 Seamless epoxy floorings can raise the value of a commercial workspace or building. Epoxy floors are extremely easy to clean, skid-proof, sanitary, and provides protection against UV rays, oil, dirt, chemicals, or corrosion. Don’t just take our word for it. Perform additional research on epoxy flooring. Browse Concrete Renovations Inc.’s vast photo gallery. View the many projects we have completed on-time and according to specifications for our valued customers. Watch our epoxy coating videos. Once you are 100% satisfied that seamless epoxy flooring is the perfect solution for you and your business you’ll need a trusted installer highly respected in the epoxy flooring industry that provides quality workmanship that only comes from hard work, vast skill sets, and experience. Concrete Renovations Inc. is one such company and a well-respected industry leader. Contant Concrete Renovations Inc. today using the form found on our website or phone us at 413-887-3320 to speak with a friendly and knowledgeable representative who will assess your specific needs, recommend an epoxy flooring system installation that meets those needs and can answer further questions you might have.